Share Amael Piano Trio's EPK! After only a brief introduction of the first paragraph, in which, after performing a solo piano, imperceptibly interfere section violin and cello, it was clear from how much restraint, lyricism and, why not, the nobility, the AmaelPiano Trio interpret Beethoven's music. A top-notch ensemble, the Amael Piano Trio, was presented this weekend under the auspices of the Spectrum Chamber Music Society, with the support of the Ministry of Culture of the Republic of Slovenia. In a program of 20th-century Slovenian music (first half) and Beethoven’s Piano Trio in B-flat, Op. 97, the “Archduke” (second half), they brought unity and vigor to both old and new. This award-winning Slovenian group plays its renditions of 19th-century German and Russian luminaries with a masterful cross of red-blooded force and delicate restraint. It's that balance of vigor and vulnerability that distinguishes these works, this trio hits all the right notes. The release of two LIVE CD's of Amael Piano Trio is planned in March-April 2011 by Cantabel label in Europe and by Eroica Classical recordings in USA: Live in Ljubljana, and Live from The Spectrum Festival. 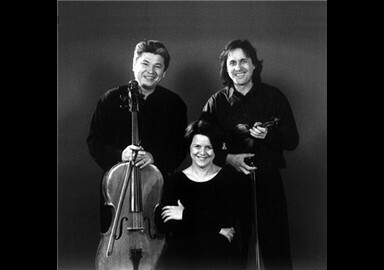 In addition to the repertoire of classical music, the Trio Amael at all concerts promoted and performed a number of works by Slovenian composers. 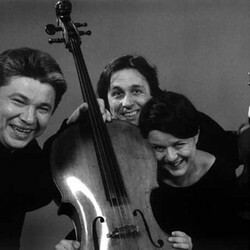 All three artists, the pianist, Tatjana Ognjanovic, the violinist, Volodja Balzalorsky and the cellist Damir Hamidullin, have performed internationally as guests of numerous music festivals and cycles, and as soloists with many orchestras. 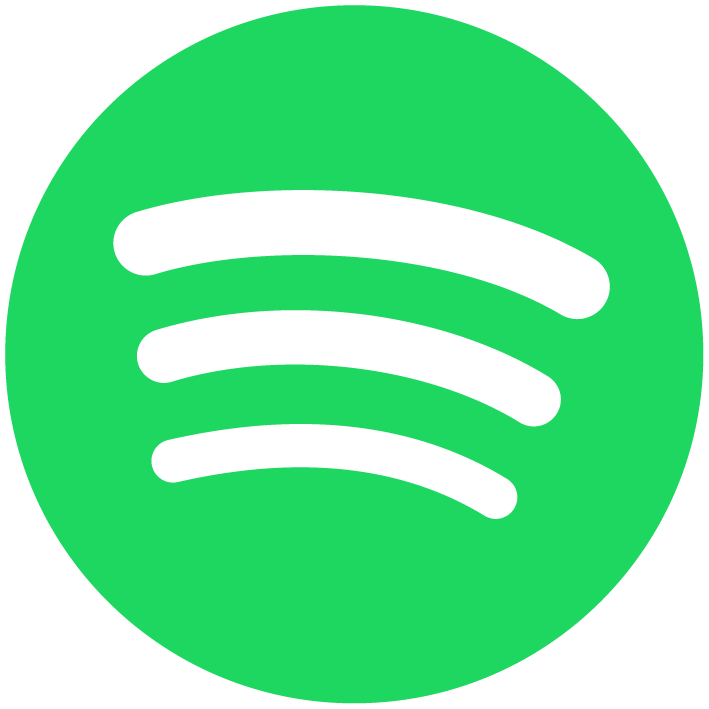 Individually, as well, they have also created multiple CD,s and have made extensive live and archival radio and TV recordings throughout Europe and in the USA and Asia. 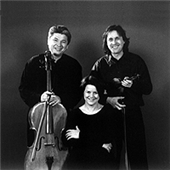 The trio has 14 years of successful performances in a variety of venues, concert series, and festivals in Europe and in USA. In the immediate future, they plan to schedule additional concert-tours and perform in many different countries, make several CDs, and expand their repertoire, exploring the works of lesser-known composers and performing new works created for piano trio. They also plan to commission and record new works; some renowned Slovenian and international composers have already decided to write especially for their trio. Tatjana OgnjanoviĂ„â€Ą, one of Slovenia's leading pianists, has performed at International Music Festivals and given highly acclaimed recitals in 16 countries throughout Europe, as well as in Malaysia and Singapore. She has appeared as soloist with many orchestras, interpreting piano concertos by Mozart, Beethoven, Mendelssohn, Schumann, Rachmaninov, Scriabin, and Prokofiev. She has made many CD, LP, radio and TV recordings, embracing a wide repertory of music from the baroque era to the contemporary. Her growing interest in chamber music has resulted in her collaboration with pianist Bojan Gorisek, and more recently, the increasingly acknowledged Trio Amael. Tatjana Ognjanovic is a prize winner of national, as well as numerous international piano competitions such as the Cidade do Porto in Portugal (1991), Maria Callas in Athens, Greece (1992), Jose Iturbi in Valencia, Spain (1992), and Premio Jaen, also in Spain (1993). In addition to her artistic performances, she has been teaching at the Academy of Music of the Ljubljana University since 1993. Volodja Balzalorsky is an internationally acclaimed concert violinist who has performed in many international music festivals and concert series throughout Europe, and North America. 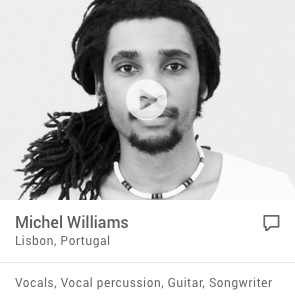 Recently he was awarded with several International Music Arards, such as: The Hollywood Music in Media Award 2009 - Best Classical, The Inland Empire Music Award Music Award 2008 - Best International ArtistThe Ontario Independent Music Award 2007 - Best International Artist, The Canary Island Music Award 2007- Best Interpretation, Julij Betetto Music Award 2006 and Nomination for The Los Angeles Music Award 2007- classical. Cellist Damir Hamidullin is a virtuoso soloist and an excellent representative of the famous Russian cello schoolHe is first solo cellist of the National Opera House in Ljubljana (Slovenia) and a member of the Amael piano trio. He has played as a soloist many times with the Kazan Philharmonic and with other symphonic and chamber orchestras in Russia and in Slovenia. He plays all the famous concertos on his instrument: Haydn, Dvorak, Saint-Saens, Schumann, and Tchaikovsky. Ludwig van Beethoven - Trio for Piano and Strings no 7 in B flat major, Op. 97 "Archduke"